You can browse and buy from a variety of Herbal Health Teas that help in weight management, slimming and obesity. Dharani Organic Amla - TA unique & wonder organic certified product first largest sapindus trifo..
Benefits : Called 'Mothers Best Friend' by international nutrition and food journals for its ..
Benefits : Called 'Mothers Best Friend' by international nutrition and food journals for..
One of the healthiest herbal tea on earth. The flowers are dried in sun on special bamboo organic ma..
Key Features : Green tea blended with dried ginger giving you maximum benefit. Reducing c.. Features : Green tea blended with jasmine flower gives you maximum benefit. Reducing carbon foo.. This is a Vegetarian product.A great combination of herbs and green tea. 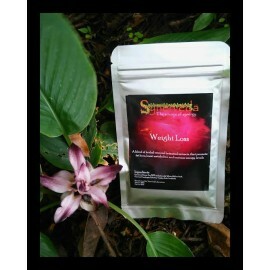 Drinking slimming te..
Hawaiian Herbal Slim Tea Is An Excellent Combination Of 100% Natural Herbs Which Help To Cleanse The.. Slim fit juice is a dietary product manufactured and marketed by siddhidatri multi trade enterpriser.. Slim tea is an excellent combination of 100% natural herbs which help to cleanse the body of harmful..
Hawaiian Herbal Bio Life Slim Tea Is A Dietary Product Marketed By Maa Adishakti Multi Trade Enterpr..
Bio life slim tea is a dietary product marketed by siddhidatri multi trade enterprisers, in partners..
Glyco tea is a dietary product marketed by siddhidatri multi trade enterprisers, in partnership wit..
Hawaiian Slim Tea Is An Excellent Combination Of 100% Natural Herbs Which Help To Cleanse The Body O..
Bio Life Slim Tea Is A Dietary Product In Partnership With Hawaiian Herbals, Hawaii Usa. It Is Halal..
Hawaiian Glyco Tea Is A Dietary Product Is The Perfect Blend Of Most Researched And Studied Low Carb..
Beautiful herbal tea giftsHerbal Blend of Ginger, Maharashtra farm lemons with exotic Butterfly ..
21 Days Weight Loss Slimming Tea Assorted pack of healthy herbal Tea, it includes 3 premium flavors .. This is a Vegetarian product.What's inside :- 1 Tote bag 1 Glass bottle filled with 10 ..
Olitia - The Olive Tea from Soil of Rajasthan. World's first processed olive tea is great energizer ..
A Blend of Herbal Teas and Botanical Extracts that promote Fat Burn, Boost metabolism and increase E..